You are able to move a town from one location to another under certain circumstances on EcoCityCraft. Keep in mind you are only moving the town region. No physical blocks will move what-so-ever. Perfect example of why you would want to move a town: Example Say you made the town Preston long before all the other towns and want it to join your town area. You must have the new area outlined. The same way you did when creating your town. The town move will not come with a name change. Your town will keep the same name. Your town must be the same size as your previous town. You cannot alter the size or use this application to increase the size of a previously smaller town. (Such as a 100x100 to a 200x200). You must have readily available town posts using signs as you did when creating the town. You must make 4 town posts on all edges of your new town location. These will be done with 4 signs. Simply place them at the four corners of your new location with "Town Name Post" on them. 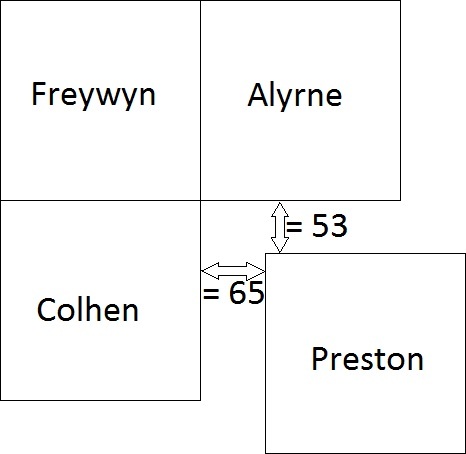 They must form a square/rectangle exactly the same size as the town originally was. This will help staff mark your town! Important: They must be open to the sky! Even if your town is underground, these posts must no matter what be above ground open to the sky! Your town will be secured all the way up and down. (Post co-ordinates [x] [y] [z] of all posts.) - These posts can be deleted after your town is set-up and moved. Your new area cannot overlap another town in any way what-so-ever. There can be no one on the members list of the town, and there must only be one owner at the time of the move. All town members must be legally evicted or properly publicly notified via a town thread that they will lose permissions temporarily to their town during the move. Be sure to read seizure of property Server Rules on doing this. If it is over 100 blocks simply apply for another town as your move will be denied and you will be fined. Your town move must not have any selfish/malicious reasons behind it. The consequences of this will be severe and handled by the highest level staff personally. All in all stay courteous and professional throughout this move process with all current remaining members of the town as well as everyone else involved. Once again the consequences of not doing so will be severe. (PermaBan/Account wipe/etc) We are very serious/strict with this. To apply for a Town Move you must fill out this form.